First shown at this year's Computex, the gaming monitor pairs up a top-notch spec-sheet with sharp looks and G-Sync support. The MSI Oculux features a 244Hz refresh rate, 0.5ms response time, 300 nits of brightness and support for Nvidia's G-Sync display tech. 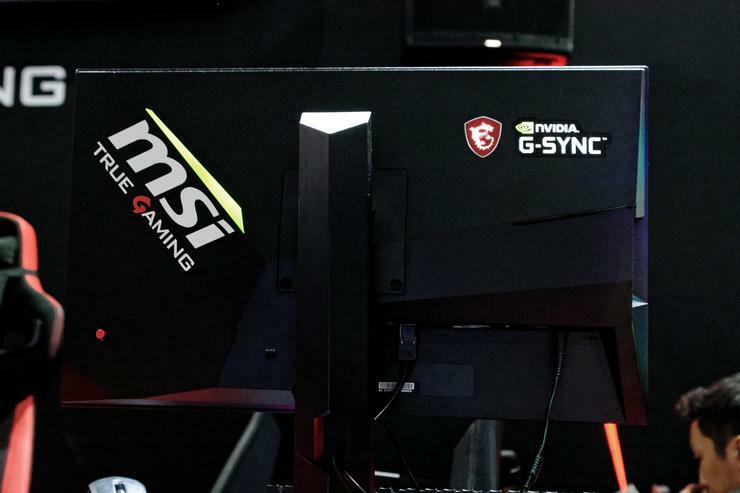 The other cool detail here is that MSI told us that the Oculux has been adopted by the ESL as the organisation's official gaming monitor in 2019 for ESL One events. The only catch here is that the price and the fact that it's only available in a single sizing of 24.5-inches - which may limit its appeal for those who prefer a larger display. The MSI Oculux NXG251 gaming monitor will be available from December (via MSI's usual partners) at an expected retail price of $750.